Thomas J. 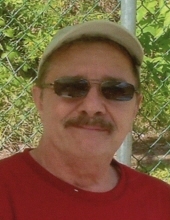 (Tom) Thompson, 68, of Marion Heights, PA went home to be with his Lord and Savior on Tuesday, January 29, 2019 at Geisinger Medical Center, Danville, PA. He was surrounded by his loving wife and children. Born March 25, 1950 in Ashland, PA he was the son of the late Thomas N. Thompson and Mary P. (Owens) Thompson Suchocki. He was preceded in death by three sisters: Geraldine Taylor, Sandra Fodor, and Cynthia Stabinski. Tom was married to the former Peggy Kane of Locust Gap, PA who survives along with four children: Joe Olah and his wife Jill of Kulpmont, PA; April Thompson and her fiancé Rex Cockerham of Mitchell, IN; and Rachel and Rebekah Thompson both at home. 5 grandchildren, nieces, and nephews. Tom was a graduate of Mount Carmel Area HS and Williamsport Area College. He worked for Bane Insurance Company, Ashland until retirement. His desire in life was to serve God and take care of his family. Tom was the music leader at Victory Baptist Church in Bloomsburg. Music was an important way for him to serve the Lord. He loved his church family. Tom enjoyed going on "dates" with his wife Peggy and loved going fishing with Rachel and Rebekah. He was very proud of Joe and April and had fun sharing jokes together. Funeral services will be held 12 Noon, Friday February 1, 2019 at the Victory Bible Church, Bloomsburg, PA with Pastor Tim Perry officiating. Interment in the Oak Hill Section of Mt. Carmel Cemetery, Mt. Carmel. Viewing will be 10:30 AM until the time of service Friday, Feb. 1 at the church. In lieu of flowers, memorial contributions can be made to Victory Baptist Church, 366 W. 5th Street Bloomsburg, PA 17815. Rothermel-Heizenroth Funeral Services, Mt. Carmel is in charge of the arrangements. Charles Heizenroth III, F.D. Ashley D'Andrea, Supervisor. To send flowers or a remembrance gift to the family of Thomas J. Thompson, please visit our Tribute Store. "Email Address" would like to share the life celebration of Thomas J. Thompson. Click on the "link" to go to share a favorite memory or leave a condolence message for the family.